Fannie May began in 1920 and in 1946 they created their most well-known candy to this day: the Pixie. Since their start, they have been creating fine-quality chocolates and now you can enjoy their selections delivered straight to your door with the Fannie May Chocolate Lovers Club. Enjoy five months of Fannie May chocolates for yourself or even a friend. A chocolate club that comes from a world-famous chocolate company. All of the chocolates in the Fannie May Chocolate Lovers Club are Fannie May brand. But, that doesn’t mean members will not get a lot of variety. The five-month membership has pre-determined selections that include chocolate covered strawberries, cream eggs for Easter, a colonial chocolate assortment for the holidays and Valentine’s Pixies for February. 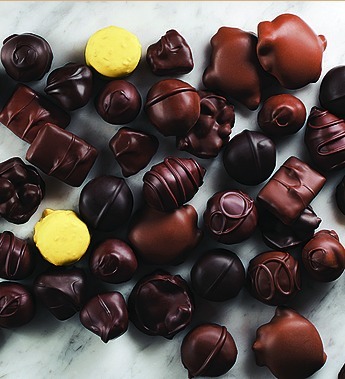 All of their chocolates are chosen to highlight the best of Fannie May chocolates and they include some of their most in-demand chocolates. Fannie May does specialize in high-quality chocolates and their in-house chocolatiers are some of the best. However, because they have become highly commercialized over the past few years, there have been some notations that their chocolate products are not as good as the days they were made by hand. That being said, compared to other chocolate varieties out there today, Fannie May is still superior quality. The Fannie May Chocolate Lovers Club is a five-month club that starts at $19.99 per month, per shipment. There is only one monthly club option and the selections for that club are pre-determined; therefore, members should review the selections to make sure it is something they would like. The chocolates are shipped April, May, November, December and February. Shipping, unfortunately, is not included. However, the pricing for the club with shipping factored in is still competitive with other clubs. There are not a lot of perks for this club, because it does not operate like a real chocolate of the month club. Instead, it is a Fannie May club that sends only Fannie May products. Therefore, members will not receive specialty newsletters about the chocolatier, origin of the chocolate, etc. 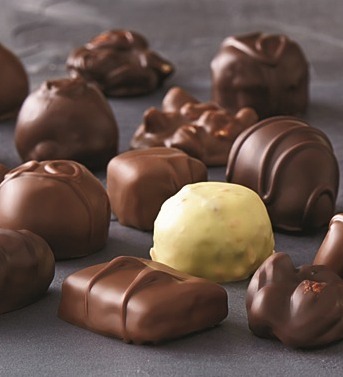 They do, however, receive Fannie May chocolates for a discounted rate in the club, but additional purchases outside of the five shipments will cost regular retail price. Fannie May Chocolate Lovers Club does take extra precautions to ensure all chocolates are delivered without damage. Because of the temperatures in the summer, the club purposely ships around the hottest months and they will not deliver to PO boxes during the summer. Also, to avoid melting, shipments are sent via 2-Day delivery, which means members will pay the $19.99 plus $16.98 shipping and handling for a total of $36.97 per shipment. Fannie May’s club could easily be given as a gift and the company does recommend it as the perfect gift. They don’t, however, send gift notifications or cards, so it doesn’t have the same gift-like fun as other clubs can offer. The website is very basic and there is limited information about the Fannie May Chocolate Lovers Club in general. Members can find info about shipping and they are able to look up the types of chocolates they will receive in the club membership to see pictures of them. Overall, however, there is nothing special about the site and some members may feel there isn’t enough info about the club itself. Customer service is available every day from 8am to midnight via their toll-free number. They are also available via email and members can track their order online via the order tracking page. They do not offer a live chocolate concierge though. Fannie May Chocolate Lovers Club: Includes five shipments of delicious Fannie May chocolates including their infamous Pixies. Starts at $19.99 per shipment plus $16.98 shipping and handling for a total of $36.97 per shipment. The Fannie May Chocolate Lovers Club is ideal for those that already know and love the Fannie May brand or those that are looking for a reliable, well-known company for their chocolate of the month membership. While it is designed as a gift, it doesn’t have the same gift perks as other clubs. That being said, they are fine quality, excellent chocolates that just about anyone would enjoy receiving as a gift. We really enjoy the fact that this club was designed to highlight the best of the best from Fannie May – hence its name. They deal in fine chocolates and the club has a reputation for its excellent quality. And, of course, members will get to enjoy the world-famous Pixies. Their price per shipment is not bad, but they do charge a high rate for shipping. Even with shipping added in, their price per shipment is comparable to other chocolate of the month clubs. When members sign up, they have the opportunity to receive fine Fannie May chocolates at a discount, which is the main reason for the club. The prices are up to 30 percent off retail. But, members still have to purchase chocolates outside of the club at regular price. That being said, they do have a rewards program for chocolate lovers too, but the rewards do not accumulate for the monthly club membership. Their gift option is not necessarily as impressive as other clubs – and is lacking the announcement and fine wrapping. But, it is still a delectable treat for anyone to receive. Overall, Fannie May Chocolate Lovers Club is a great club for those that want fine chocolates from a company with a long standing reputation for delivering on their promises. A club devoted to the best of Fannie May. Fannie May Chocolate Lovers Club is the ideal gift for the chocolate lover in your life or even yourself. With their excellent selection of fine chocolates and affordable price, treat yourself or someone else this year to great chocolate.